Sandra Nankoma, Irene Namatovu and Sheebah Karungi are nominated for the Best Female Artiste in Eastern Africa. Bebe Cool on the other hand is tussling it out with Diamond Platnumz and other Wasafi boys Rayvanny and Harmonize alongside Nyashinski and Khaligraph from Kenya. Bobi Wine will also be a panelist at the Africa Music Business Summit that will be held two days before the AFRIMA awarding event. "AFRIMA music awards-Ghana 2018 is the only award ceremony left for Africans that recognizes African talent for now. It is our natural obligation to love Africa, build Africa, support African, protect Africa, and buy Africa." 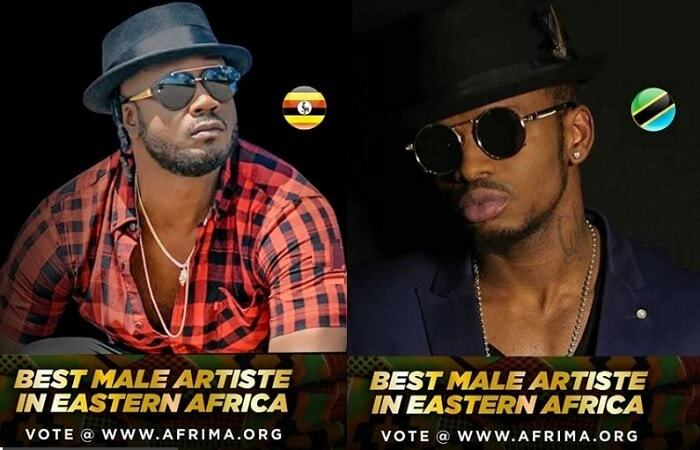 "In the ongoing AFRIMA awards slated for Ghana next weekend, there is only one male Ugandan nominee in all the awards, so if you had digested this earlier, you wouldn't be on pressure or hurt like you are now." Bebe Cool sums up his post by noting that may the best artist win, after all, East Africa is one, but the mere fact that he is the only Ugandan nominated in that nod, it is a win already for him irrespective of whether he takes the award or not. He hints on when he will be coming back. "Finally, you haters have tormented my fans and guess what, I know you all want to see if I have support in Uganda." Well, I will return to stage performances starting this Boxing Day, 26 Dec at the Tondeka Ekiwatule Mutima Gwa Zaabu and he says part of the proceeds will go towards paying school fees for 200 primary children in a chosen district 2019.